It was a big week for the federal government to announce, or for publications to find and detail, GIS-based solutions. Only one is accessible to the public, but this recap illustrates that GIS trends in the private and consumer sphere are finding their way into U.S. federal government agencies, too. Which trends? citizens and making better maps of our national parks. On June 23, the U.S. Department of Health and Human Services launched a new interactive map. The HHS emPOWER Map shows the monthly total number of Medicare fee-for-service beneficiaries’ claims for electricity-dependent equipment at the national, state, territory, county, and zip code levels. The tool incorporates these data with real-time severe weather tracking services from the National Oceanic and Atmospheric Administration in a Geographic Information System (GIS). While aimed at agencies and officials, I like that this tool is available to the public. Here's a map I attempted. The goal was to show my ZIP Code and county's individuals noted above, along with traffic and precipitation data. As you can see from the rather complex query builder, this is a complex but powerful tool. 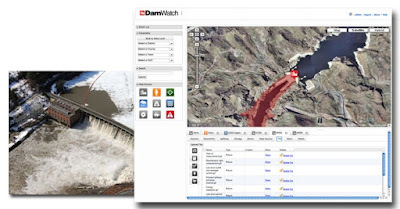 Agriculture Secretary Tom Vilsack today announced the availability of DamWatch, a new web-based application that provides real-time monitoring of rainfall, snowmelt, stream flow and seismic events that could pose potential threats to dam safety. "With tools like this, USDA is using the newest technologies to meet our mission," Vilsack said. "This tool provides a 'one-stop' source for accessing critical documents, databases, onsite electronic monitoring devices and geospatial information. 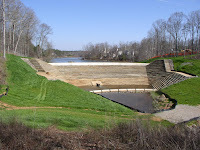 The intent is to help keep the public safe and protect infrastructure." 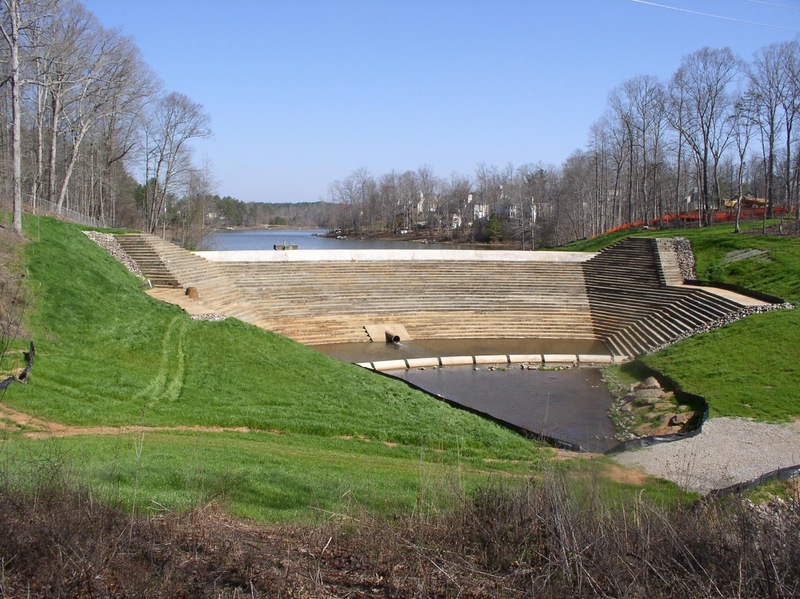 It uses a secure Internet site and sends messages (e-mail, fax or text) when dangerous criteria are met to the sponsors of projects that received support from USDA's Natural Resources Conservation Service (NRCS). It's those sponsors who are responsible for safety of the facilities and the public. The data include weather and real time input from sensors. The alerts are trigged when specific criteria are met. USEngineering Solutions Corporation built the application and provided the graphic below. The company has a patent on this sort of solution titled "Monitoring System and Process for Structural Instabilities due to Environmental Processes." About a week and half ago, word got out that the National Park Service (NPS) is ready for potentially of its staffers, including those who are not trained in GIS, to edit its maps. The National Park Service has already piloted what's called NPS Places (GitHub repository) with a few hundred of its staffers. The app taps OpenStreetMap's open source tools (iD) to offer an easy to use map editing app which will be rolled out to the entire staff in the next few weeks. Nate Irwin, who leads the NPS mapping team, notes that only 50 to 100 people in the NPS are trained on GIS. This app will be available to all 22,000 and it's possible other agencies might use the tool, in time. I hope these efforts will be widely used by their target groups: officials and the public, those who monitor dams and NPS employees, respectively. Further, I hope the agencies will share if the tools meet their goals of keeping infrastructure and people safer and making better maps. It's nice see both agencies developing tools in-house and tapping consultants. 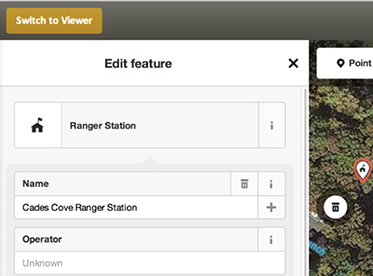 I'm most excited to see NPS tapping its own experts out in the field to update its maps and do it using open source code. It's certainly not the first federal government to tap the public to update maps: the USGS has used crowdsourcing to update its maps for some time. An EPA Region 7 person noted via Twitter that I missed the launch, June 10, of EJSCREEN, An Environmental Justice Screening and Mapping Tool. Indeed I did! Thanks for letting me know!